Patrick and Emily Heinis are on the left (in red and yellow). 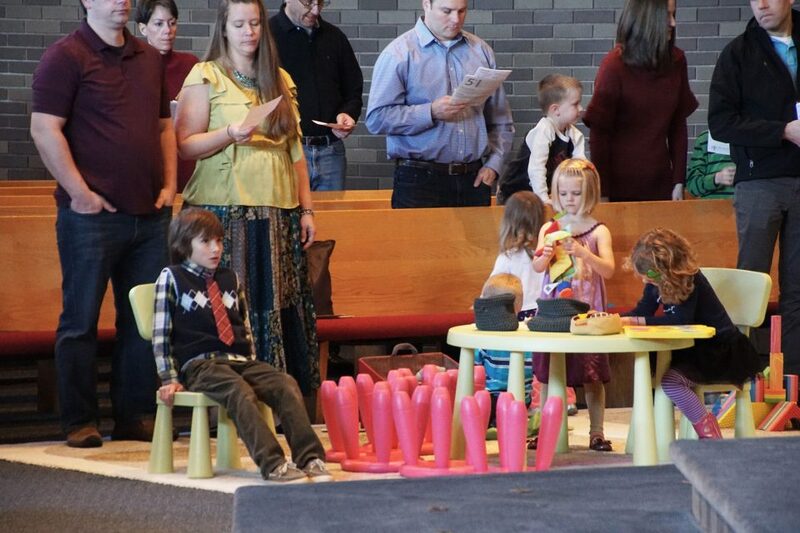 Their daughter, Olivia (pink dress), and son, Nathan (blue stripes), play during worship. Roske-Metcalfe’s husband, Luke Roske-Metcalfe, standing to the right (in black jacket) watches daughter Olivia color. Nat Walden (in red tie), watches worship with rapt attention. Grace does a summer music series on Wednesdays. 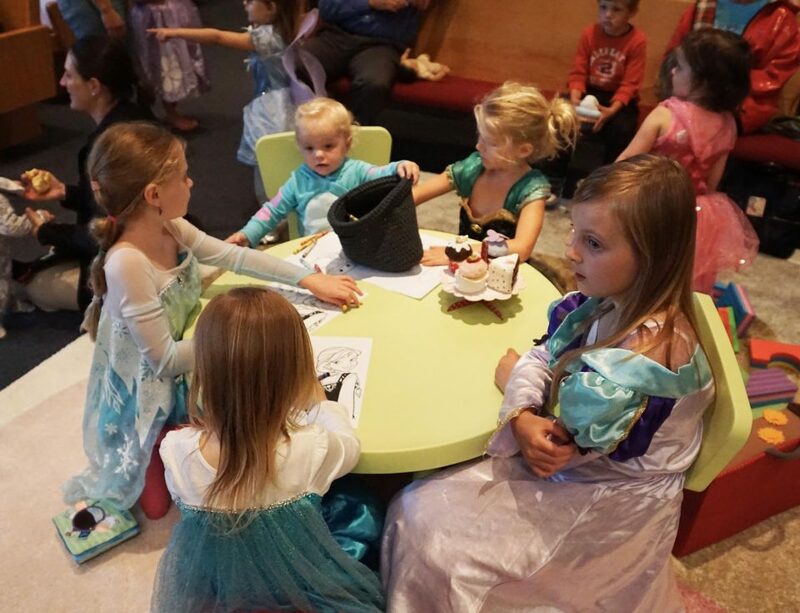 For Disney night, several youngsters dressed up, including: Clara Kapala (back to camera, white and blue dress), Kylee Bachmann (to her right), dressed as Princess Anna, Kendall Bachmann (middle), dressed as Sully from “Monsters, Inc.,” and Kayla Bachmann, left, dressed as Princess Elsa. Malina Chrissis is in the background, wearing all pink. Jared Rendell is with his son, Sam, and daughter, Josie. Patty Matthews holds her granddaughter Paige and her other granddaughter, Quinn, plays quietly on the pink stool. Jane Allen (grey top) stands next to her daughter, Megan Johnson, who holds her son, Austin. Megan’s other son, Devin, plays with building blocks. 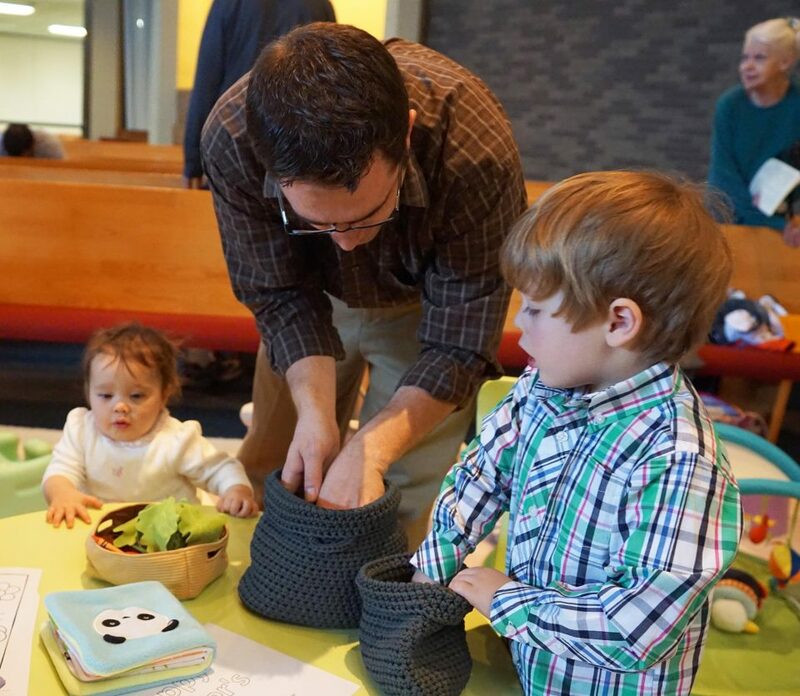 How do we make it abundantly clear that children are welcome in worship? This is the question Andrea Roske-Metcalfe, a pastor of Grace Lutheran Church, Apple Valley, Minn., posed when the idea for a “Pray-Ground” was born. 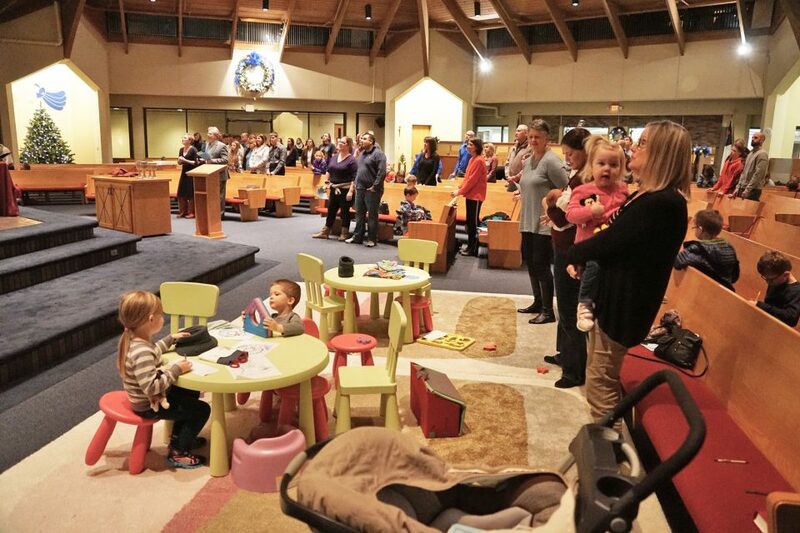 The designated play area, placed in the front of Grace’s sanctuary, offers children’s furniture, toys and space for children to play and observe during worship. The Pray-Ground celebrated its one-year anniversary this May. To learn more about this ministry, visit graceofav.org/prayground.